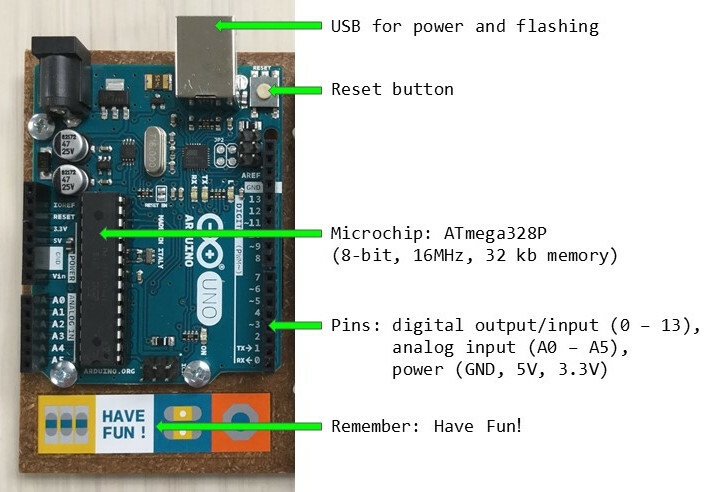 Arduino UNO is an easy to use prototyping board based on open-source hardware and software. It can be programmed using Arduino’s basic language to create interactive physical computing projects. For examples and inspiration check out the Project Hub. That white thing attached to your UNO? Its a solderless breadboard! Each pin hole on a Rail is connected vertically. 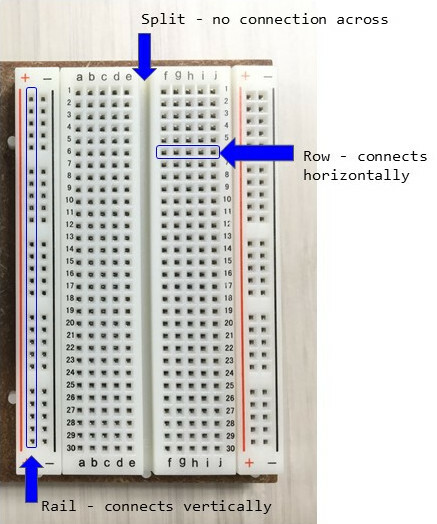 Each pin hole in a Row is connected horizontally. A Split runs down the middle dividing the board in two.